An established, Richmond-based artist and master weaver, Iverson taught in Virginia Commonwealth University’s Department of Craft + Material Studies for 40 years, retiring in 2015. 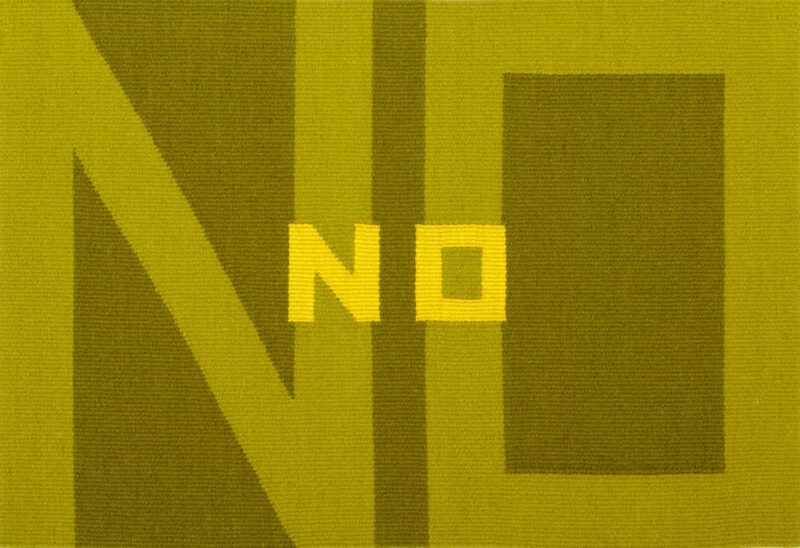 Around that time, she started exploring the deceptive complexity of the word “no.” What started as a study of color and language took on a broader meaning as America’s political landscape changed, Iverson said. 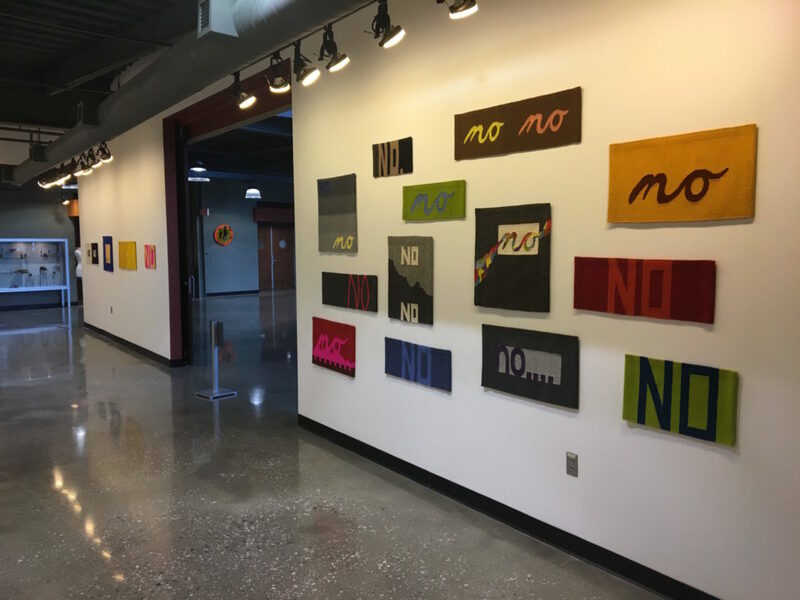 This is only the third time that “The Color of NO” has been exhibited publicly. Iverson said she’s looking forward to seeing her work on the walls of VisArts’ True F. Luck Gallery, and she pointed out that the individual “no’s” are much more powerful together. 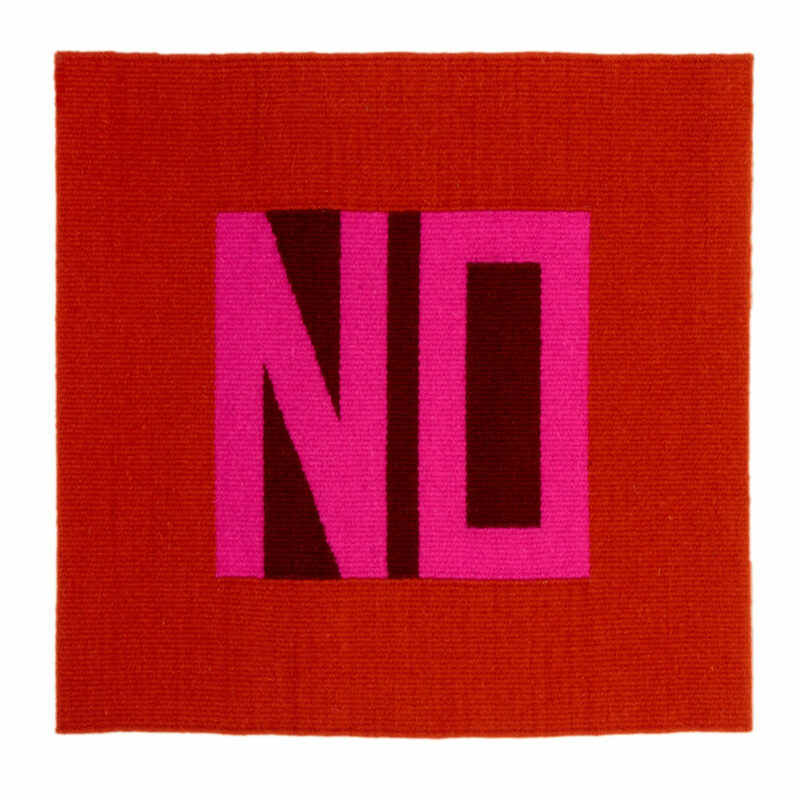 Iverson created a new 8’x8’ piece composed of several “no” tapestries which will go on display for the first time at VisArts. 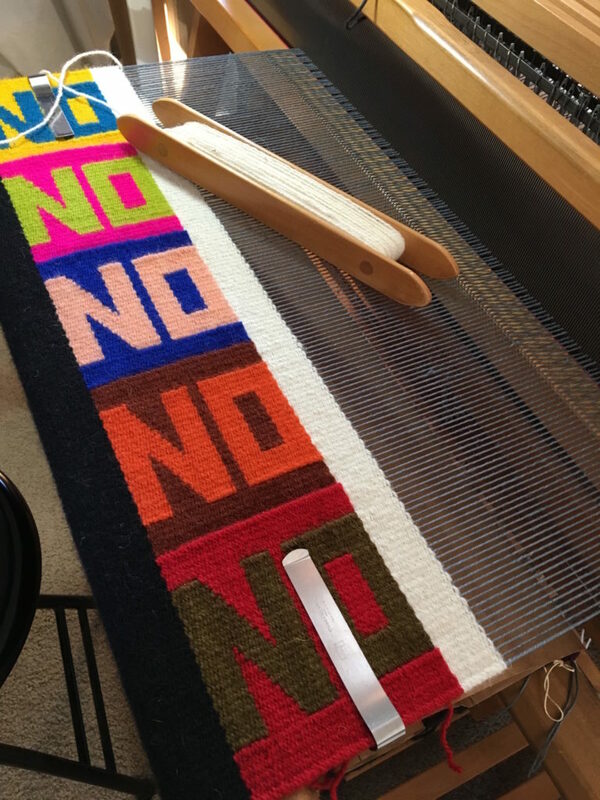 As she finished weaving the tapestries that are part of this new installation, Iverson realized she’d chosen the same blue that appears in the iPhone’s messaging app. “I’m sure that my subconscious had figured that out well before my conscious mind, but it made me laugh,” she added. While she embraces the digital world, Iverson thinks it’s also important to recognize the value of using time-honored techniques and materials to make art in the 21st Century. She weaves her tapestries on a Gilmore loom, using natural materials including wool, silk, linen, mohair and cotton, which she hand-dyes using a variety of dye techniques to achieve vibrant hues. The opening of “The Color of NO,” begins with an artist talk at 5:30 p.m. on Friday, April 12; a public reception to follows 6 to 8 p.m. The exhibition will be on view through June 2.